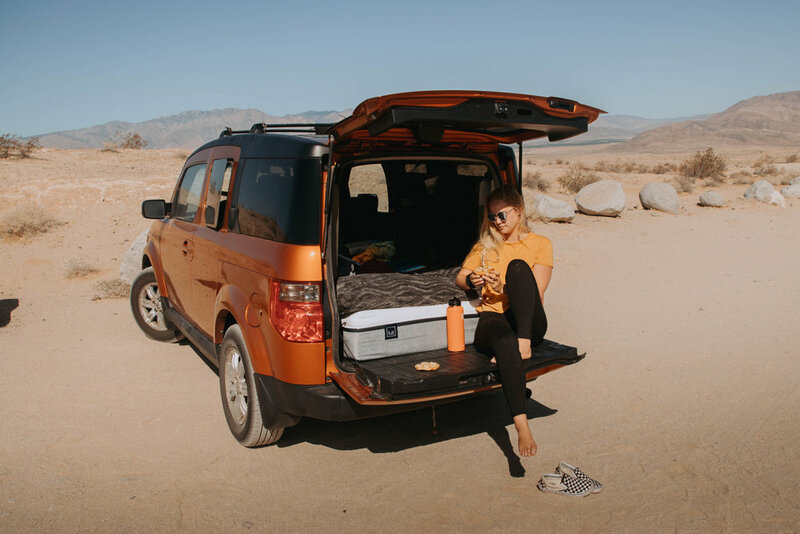 To display how versatile their mattresses are, we took Lull's memory foam mattress out for a trip to the desert. After having it shipped right to our front doorstep in a box, we had the mattress set up and ready to go in minutes. It served as a wonderful bed for car camping, and allowed us to wake up right where we wanted to be for the day. The mattress has now found its new home back in the house, and offers one of the most comfortable sleeping situations around.